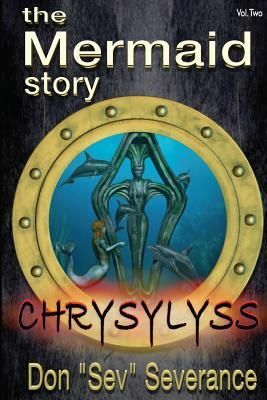 The second installment of The Mermaid Story Series, The Mermaid Story: "Chrysylyss" is a window into the past. Starting at the emotionally charged moment when Sadjah meets her mother who has been exiled on WB's luxurious Retreat for most of her adult life, the story takes you back in time to the solitary childhood of an exceptional child born to unloving parents in the small minded community of Edenton. We follow her struggle to escape the confines of parental hypocrisy, watch her flourish in the company of new friends and animal spirits, embraced by the gentle people on the island of Banditee as the "Chosen One" and see her evolve into an extraordinary young woman under the loving guidance of Blyss. The relationship between Chrysylyss, Sadjah and Epyphany becomes clear and we begin to understand how a single moment of passion can trigger a chain of events that will forever change their world and the planet as a whole.